So many people have trouble sleeping. Whether it’s not being able to fall asleep, or waking in the night, sleep problems are very common. When you are having disruptions to your sleep patterns, there are a number of factors that could be affecting you but the bottom line is too much stress. Your body is overloaded with stress hormones. So what are you to do? Is there any way to get better sleep with a natural sleep aid? 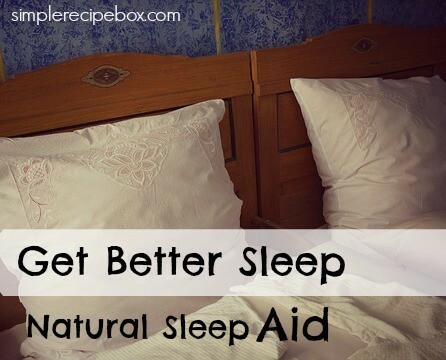 There is a plethora of opinions and ideas out there about how to get better sleep. You know me, I look to the source. What is happening in your life, diet etc that is causing abnormal sleep. Conventional medicine wants to silence the symptom, natural medicine looks at the ROOT of the symptom. Out of all the articles I’ve found, the one I’m about to share is the most eye opening. The sleep dust recipe is so easy to make and keep on your nightstand. Having to medicate to sleep on an ongoing basis is only putting a band-aid on the problem. What’s really happening probably has more to do with your metabolism than anything else. We can go into depth on that later. For now, I’m going to direct you to Butter Believer, another real food blog full of research based information. What Emily has to say about sleep is quite interesting and I hope it helps!